After the Nawaz Sharif Government criticized the growing India-U.S. relations following Prime Minister Narendra Modi's visit to Washington, the Pakistan media is also striking the same tone as it seems upset with Syed Salahuddin, a Pakistan-based Kashmiri separatist leader, being declared a specially designated global terrorist by the U.S.
Pakistan's English Daily, the Dawn said in an editorial on Friday, "Historically, the US has encouraged Pakistan and India to engage in dialogue on all disputes and issues between the two countries. 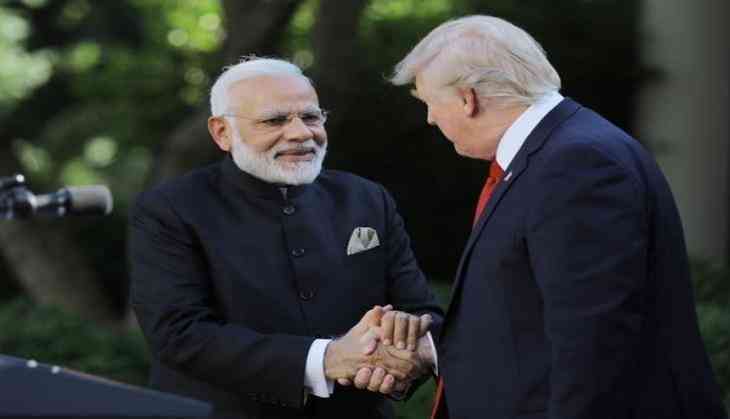 But that encouragement is now meaningless if the US aligns itself with India on the Kashmir dispute." It said "Whether it is the dysfunction in civil-military relations, the intransigence of the security establishment or the reluctance of the PML-N government, Pakistan has been unable to adapt its approach to India in the Modi era," adding that for Islamabad, the challenge remains the same: mobilising world opinion against Indian agenda in Kashmir. On Salahuddin, the editorial said, "the IHK-born leader is the very symbol of India's failed policies in Kashmir." The daily said that Indian government has tried to cast Salahuddin as a present-day menacing figure and lobbied the UN to have him declared a terrorist while he was the 1980s, a 'young aspiring politician' from Budgam in the Kashmir Valley. It claimed that thirty years ago, Salahuddin was denied victory in a massively rigged election in Kashmir. That rigged election helped trigger an insurgency against Indian rule. Earlier, Pakistan's Foreign Office said in response to the Indo-US joint statement that was issued on Tuesday after President Donald Trump's meeting with Prime Minister Modi, "The meeting in Washington D.C. between President Trump and Prime Minister Modi was a missed opportunity to induce India to alter its policies inimical to peace in the region." Pakistan also expressed its concerns on the sale of advanced military technologies to India saying, "Such sales accentuate military imbalances in the region and undermine strategic stability in South Asia."